Silver Bear ammunition is manufactured at the Barnaul Machine Plant located in Barnaul, Russia. One of the largest manufacturers of Russian ammo, this facility is best known for producing high-quality loads for the RUssian military. 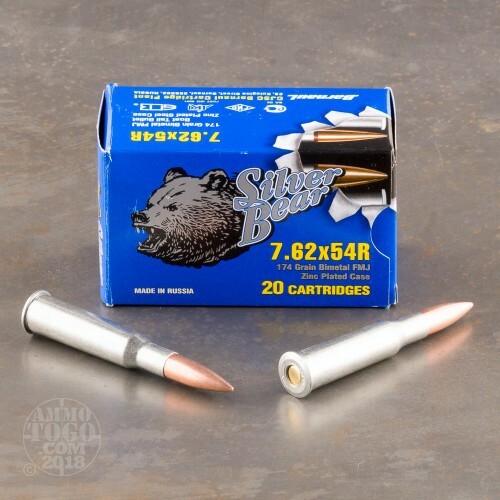 Silver Bear ammo gets its name from the highly-polished zinc plated steel casings. 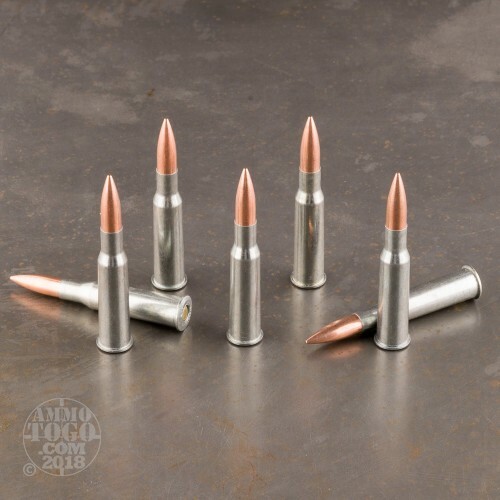 Designed to prevent corrosion, the special zinc plating works to extend ammunition shelf-life, making these rounds an ideal choice for long-term storage. 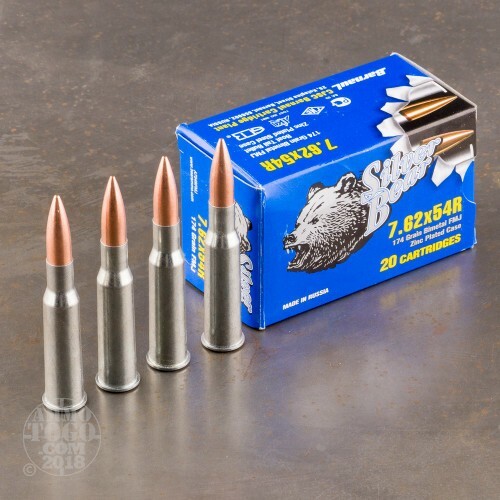 This package of 20 Silver Bear 7.62x54R ammunition is perfect for the budget conscious shooter. Each of these economical rounds is loaded with a 174 grain full metal jacket (FMJ) projectile. Delivering minimal terminal expansion, these rounds are best suited for target shooting, tactical drills, and casual plinking. This new production ammunition is non-corrosive, Berdan-primed, non-reloadable, and produces a muzzle velocity of 2559 feet per second. With all the characteristics of nickel-plated brass, it is easy to forget your actually shooting zinc-plated steel casings, but your bank account will see the difference. Never had a problem with this ammunition, worked really well with my Mosin Nagant 91/30. 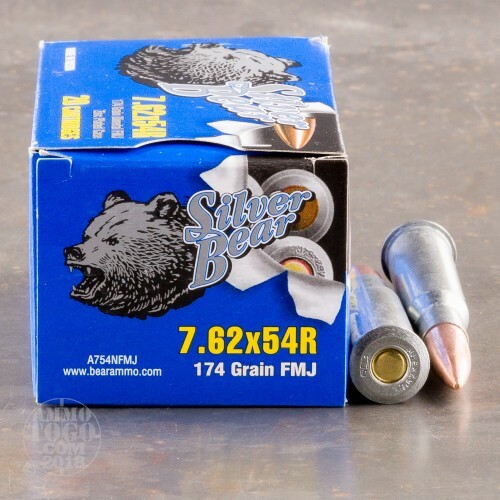 Seems to be good ammo for the price out of 5 boxes I had one cartridge that would not fire. Has a lot of power, will go completely through a 10" to 12" diameter hardwood tree.